Ride Health’s HIPAA-compliant web app is used to coordinate transportation for low-income, elderly and disabled patients who face transportation barriers to care. With their platform, healthcare providers can schedule, request and pay for rides on behalf of patients. SemperCon worked with Ride Health from concept to deployment, developing one of the first applications to integrate with Uber’s healthcare API. 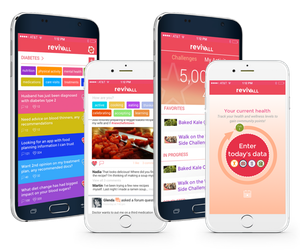 RevivAll is the world’s first social networking platform for community health — connecting patients with supportive, social and local health communities and encouraging healthy social norms #IRL. Using this mobile app, patient are connected to health and wellness support groups, forums, and competitions. The Resuscor mobile application is a point-of-care reference for emergency department and critical care providers implementing post-cardiac arrest Targeted Temperature Management (TTM) protocols. SemperCon has worked with Resuscor from app concept to design, through development and into pilot testing. Resuscor is now working with SemperCon to integrate the application with temperature management equipment. Medicare Health Outcomes tablet app allows patients to review information, answer questions, view video tutorials and confirm their understanding of medical procedures prior to admissions. 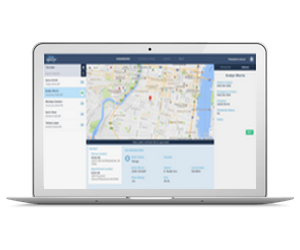 SemperCon helped to identify and address key mobile connectivity issues for this pilot app. Behavior Med offers a full suite of services specifically designed to help manage specialty behavioral health inpatient treatment facilities. Working closing with physician clients, SemperCon designed and build this cloud based application to meet their needs providing interfaces to labs and medical data exchanges while complying with all HIPAA/HiTech security requirements. Charts provides medical practitioners and staff easy access to all their scanned medical records allowing them to find and view indexed records via an intuitive tab-based user interface. SemperCon developed Charts to meet strict HIPAA/HiTech security requirements and provided tight integration with existing electronic medical records applications. EMR-Charts helps hospitals and physicians to manage the integration paper records into digital electronic record systems. SemperCon designed, developed and operates this cloud-based web application. It also manages continuous backups at multiple locations while adhering to all HIPAA/HiTech required security requirements.